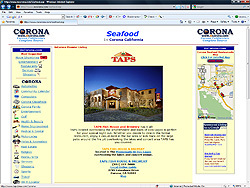 is Corona's Source for information on restaurants, entertainment, businesses, services, and community events. Our goal is to be a one stop site for information for the Corona family. The specializesin search engine ranking to insure Top Positions with major search engines. Only $240 for 12 Months!